The corporate practice-based training platform is based on the global multi-user business simulation Virtonomics and is intended for business schools, large companies with their own corporate training centers, universities, consulting companies. 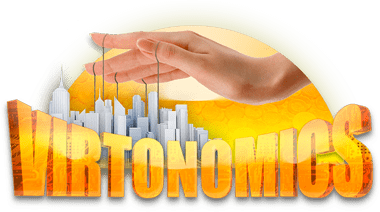 Virtonomics Enterprise is a universal business simulation online platform on the basis of which the training center can develop and conduct business games and business trainings of the widest range of topics for middle and senior management. Both in the internal format, and remotely. That is especially important for territorially distributed companies. – Development and conducting of trainings and business games. – All this is based on a single simulation platform and online. FLEXIBILITY AND UNIVERSALITY. The platform allows you to conduct business trainings on almost any topic – from business planning skills to assortment management, any duration – from one day to a year, with any user load dynamics – from 30 minutes to 10 hours a day, full-time and remote, synchronous and Assynchronous, individual and group (up to several thousand users at a time). EFFICIENCY AND PRACTICALITY. Trainings, business games, training courses are based on realistic multi-user business simulation, which allows users to immediately turn theoretical knowledge into practical skills, immediately in practice to test and apply the ideas, concepts, and strategies received. CUSTOMIZATION, settings and installation is very quick – within a month. PARALLELISM. At one time on a single simulation server, Virtonomics Enterprise can run in parallel any number of different trainings, training and other processes with any total number of users. EFFICIENCY. Training is effective when a person receives not just knowledge, but also practical skills of managing a company, division or business process. 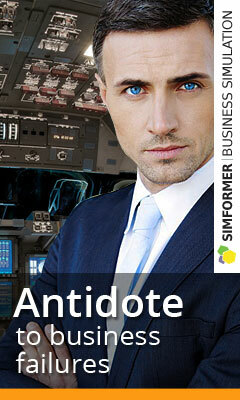 Virtonomics is made specifically for training practical management skills. Virtonomics Coach Account. The tool allows to organize to coordinate any group activity of users in the simulation.